Assumed safe by the average individual and easy to obtain from a doctor just about anywhere, prescription drugs are the number one abused type of substance in the United States. In fact, in 2011 a study showed that 52 million people over the age of 12 had used prescription medications for non-medical purposes in the past, according to the National Institute on Drug Abuse. Of the seven million people who reported using prescription drugs non-medically in 2010, 5.1 million of those individuals had taken pain relievers. Opioid pain relievers, such as OxyContin, Percocet, Vicodin, and Opana, can produce feelings of energetic euphoria, which is a desirable effect that users may seek recreationally. In 2012, as reported by the Centers for Disease Control, 72 percent of the more than 22,000 pharmaceutical-related deaths were related to opioid pain relievers. Opioid pain reliever abuse is not discriminatory between any group of people based on age, gender, or race. The typical abuser could be your next door neighbor, your best friend, or a public official you trust. There is even evidence that suggests opioid pain relievers are commonly abused by teens who often get the drugs from their own medicine cabinets at home or their friends who do the same. 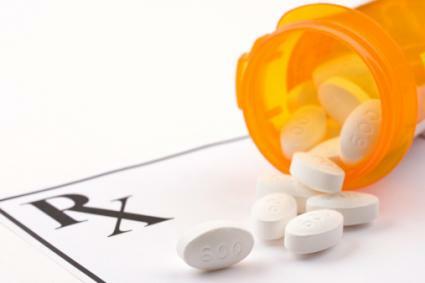 A study by the Centers for Disease Control found that as much as one in every five high school students had taken a prescription drug without a prescription. One of the largest factors that affects the numbers associated with opioid abuse is the fact that it is so widely administered and available. Opioids are prescribed to treat everything from pain associated with dental procedures to bodily injuries. In 2010, there were so many prescription painkillers prescribed, every adult in the country could have stayed medicated for one entire month. This ready availability makes it easy for abusers to get their hands on the drug, whether it comes straight from a doctor, from a friend or family member, or bought off the street. Anti-depressants, anti-anxiety medication, and other drugs that are related to treating mental health disorders all fall into the psychotherapeutic drug category. A study of prescription psychotherapeutic drug abuse in 2015 revealed that misuse of psychotherapeutic drugs is second only to marijuana when it comes to the nation's issue with illicit drug use. Some of the drugs in this class include Prozac, Xanax, and Valium. Psychotherapeutic drugs are commonly abused by the people to whom they are prescribed. For example, people prescribed depressants can see their tolerance to the drug grow quickly, according to The Foundation for a Drug-Free World. Therefore, patients will start using more of the drugs to achieve the same state, which can easily lead to an addiction. Of 971,000 emergency room visits related to prescription drugs in the year 2008, as many as 194,000 involved benzodiazepines, such as Xanax. Another form of abuse is taking these drugs along with other types of prescription and non-prescription medication or alcohol. For example, it is common for party goers to take Valium after ecstasy or uppers to calm themselves down before heading home, according to Narcanon International. Stimulant prescription medications are typically prescribed to stimulate energy, attention, or activity. This is often necessary for treatment for people suffering with ADHD, obesity, or neurological disorders. While stimulants only account for 1.1 million people of the more than seven million who have used prescription medication without consent according to to the National Institute on Drug Abuse, this still proves to be a major concern. One of the most alarming statistics related to the abuse of stimulants is the fact that this is a popular drug amongst teenagers. More than 16 percent of 12th graders claimed to have used Adderall, Ritalin, or other amphetamines in the past year, as reported by the NIDA for Teens. Further, females seem to have particular vulnerability to stimulant abuse, such as Adderall and Ritalin, because it can promote weight loss and give more focus during studying or class. It is no secret that the numbers are alarming when you look at just how many people misuse drugs that are meant for safe purposes. However, when you delve into the numbers and facts of drug abuse statistics, it can be downright terrifying. Taking an inside look at the real numbers is an eye-opening experience for citizens and may lead to a greater understanding of how big prescription drug abuse is, which could eventually lead too much needed change.